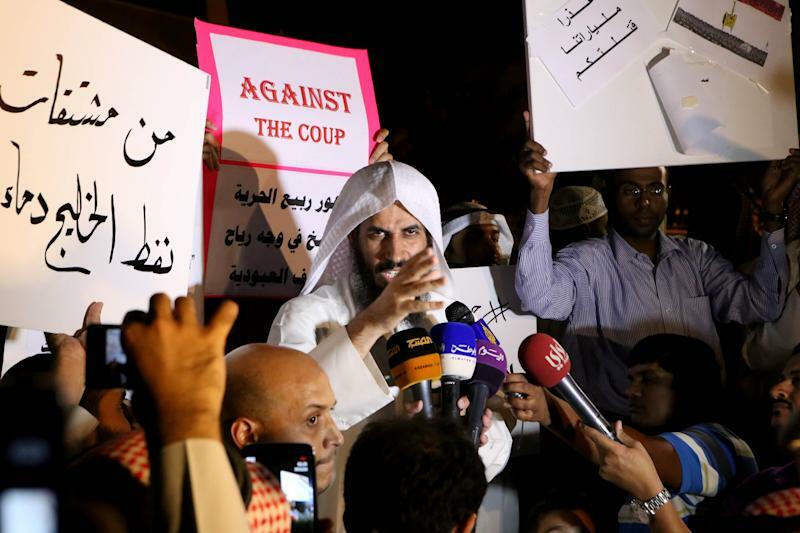 Kuwait City (AFP) - Kuwait said Thursday it was committed to fighting terrorism and its funding after the United States sanctioned three Kuwaitis accused of providing money, fighters and weapons to extremist groups. "Kuwait is committed to fighting terrorism and its funding," its ambassador to Washington Sheikh Salem Abdullah al-Jaber Al-Sabah said. "Kuwait has passed legislation to fight terror and its financing and has established the executive tools to implement it," the ambassador told the official KUNA news agency. "The state of Kuwait continues to cooperate with the United States and the international community in combatting this dangerous phenomenon," he said. The United States on Wednesday imposed sanctions on Shafi al-Ajmi and Hajjaj al-Ajmi, accusing them of raising money for Al-Nusra front, a jihadist group fighting in Syria. Both men are said to be Kuwaiti. A third man, Abdulrahman al-Anizi, whose nationality was not disclosed, is accused of supporting the so-called Islamic State jihadist group, which launched a devastating offensive in northwestern Iraq on June 9. KUNA said that all three men are Kuwaitis. The ambassador said he will follow up on Washington's decision with the US State Department. The two Ajmis are very popular figures in Kuwait for championing campaigns to raise funds for the "Syrian and Palestinian peoples", according to advertisements on social networks, especially Twitter. Their campaigns have been sponsored by leading Kuwaiti clerics. But the two have expressed clear views against the Islamic State, accusing it of having links with the Syrian government, Iran and even the United States. Following the US decision, the Twitter accounts of the two Ajmis, who together had around 800,000 followers, were suspended. They could not be reached for comment. Anizi did not have an account on Twitter. Under the order issued by the US Treasury, any assets the men hold in the United States are to be frozen and American citizens and residents are "generally prohibited" from doing business with them. The latest US terrorism report on the country noted "increased reports of Kuwait-based private individuals funnelling charitable donations and other funds to violent extremist groups outside the country". On Tuesday, Social Affairs and Labour Minister Hind al-Sabeeh, announced tighter transparency rules to "correct the course" of charities gathering and distributing private donations. The Islamic Affairs Ministry announced on the same day it had suspended all types of cash fundraising inside Kuwait's mosques, including collections "for the Syrian people".